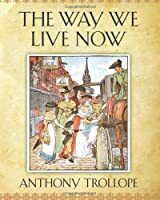 We don't have a description for The Way We Live Now, but if you head over to Amazon they'll be able to tell you what this book is about! I love anything that offers a glimpse into another time and world! And Trollope??? I adore Trollope and am slowly working my way through all of his works!